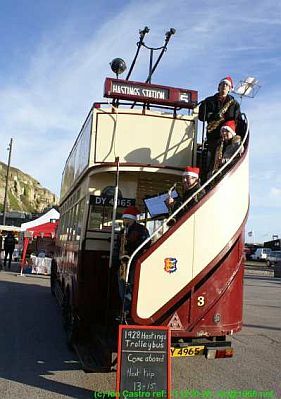 10th December saw Happy Harold’s last outing of the year at the Family Fun Day at Eat@the Stade where he even doubled up as Santa’s Grotto for a while. 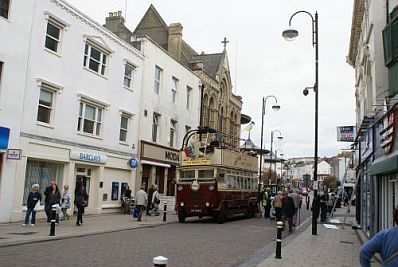 After a few trips to the town centre and Queens Road it was off to Courthouse Street where he met up with Deeday White and his wife Bev. 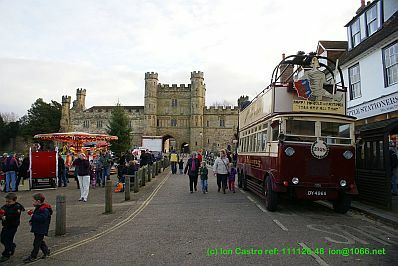 A quick tour of the town centre to admire the Christmas lights and back to the depot for a well-earned rest. 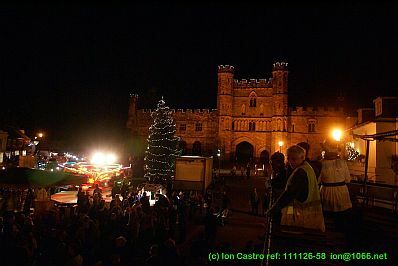 26th November Battle, where a nearly a thousand years ago unhappy Harold met his untimely end - this time it was under much happier circumstances - assisting Santa with switching on the Christmas lights after processing to the Abbey with Santa, his elves and snowmen and giving rides up and down Battle High Street all afternoon. 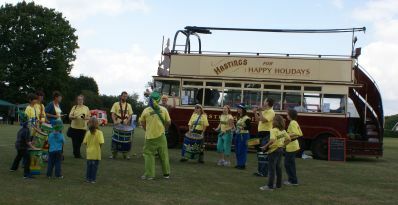 Happy Harold, Hastings’ own trolleybus has been out and about again - this time in aid of the business community. 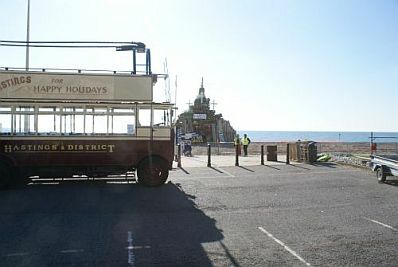 On Sunday 6th November, the East Sussex Federation of Small Businesses had their AGM at The Manor Barn, Bexhill Old Town and their day was rounded off with a tour of Bexhill on the old trolleybus route to Cooden Beach. 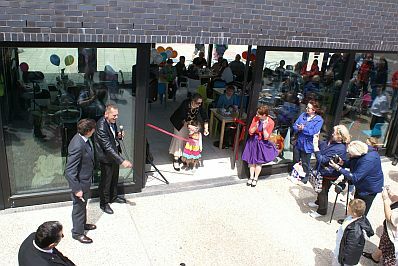 Nigel Evans MP, Deputy Speaker of the House of Commons was the Guest-of-Honour and Matthew Lock, vice Chairman of East Sussex County Council and leader of the opposition on Hastings Borough Council was also there. 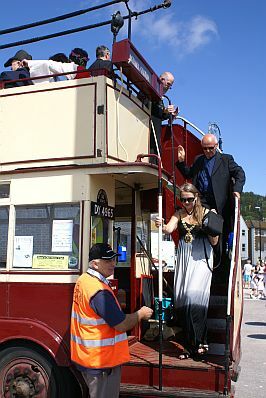 The trip was suggested by East Sussex Regional Chairman Lord Brett Maclean. It was a good opportunity to pose with the Queen Victoria Jubilee Clock erected in 1887 and mourn the fact that the ancient Bell Hotel “The Bell” was yet another pub that had failed to ride out the recession. St Peter’s Church, just round the corner was there before the conquest and may have been visited by the original Harold who held the manor of Crowhurst at that time. 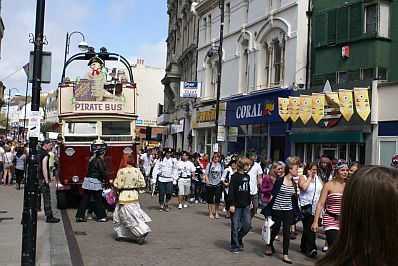 8th October. 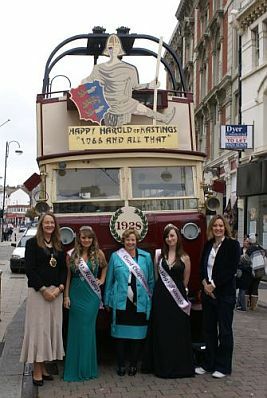 Left: from the left, Hastings' mayor Cllr Kim Forward, Miss Hastings April Grant, Court Chaperone Jacqueline Clover, Carnival Princess Nicole pavitt and hastings' MP Amber Rudd pose with Happy Harold before the official opening ceremony. 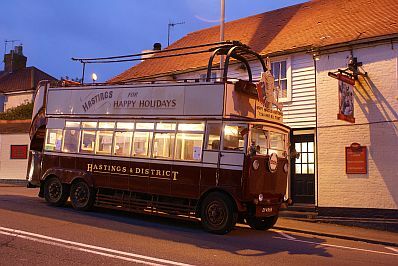 Above: Happy Harold waits at the old layover point for trolleybus services 6 and 11 at the Ore Terminus whilst the crew vist the Hobbies & Crafts Fayre at the Ore Community Centre, just visible on the right. 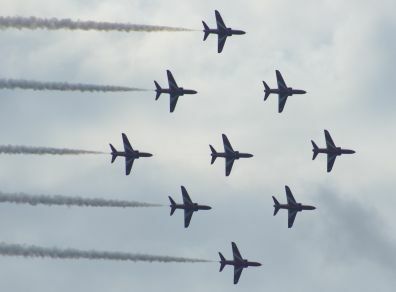 12th October. 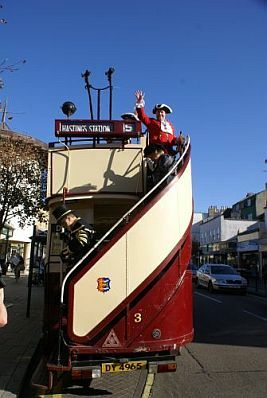 Happy Harold ran 'Mystery Tours' round Hastings from a terminus outside Hastings Town Hall, short working on routes he would have first operated eighty three years previously. 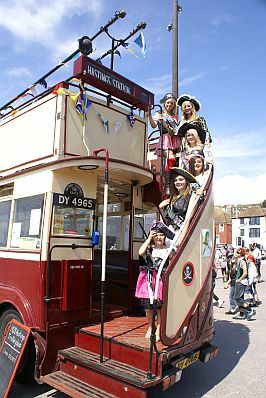 Miss Hastings, who is also our Hastings Old Town Carnival Queen joined in and was collected and returned by 'bus to Hastings College where she works. 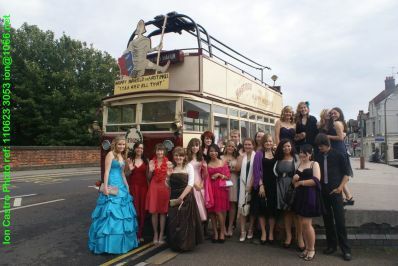 She's seeen here posing with Happy Harold outside the college and in the cab. 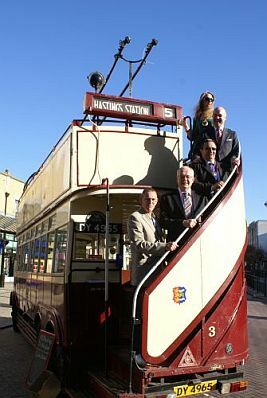 15th October a busy day for Happy Harold, above: Mayors from Hastings' Twin Towns pose with the leader of hastings Council, Jeremy Birch and Hastings' Mayor and deputy above right: we took visiting town criers for a quick tour before the 59th annual Town Criers competition. 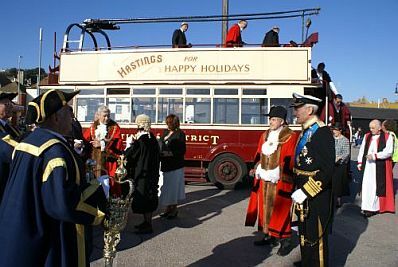 right: we stopped to visit our pals building the Hastings Bonfire in readiness for tonight's Hasting Bonfire Celebrations, then below: on to the Old Town to take Admiral Lord Boyce, the Lord Warden of the Cinque ports and the Cinque Ports Mayors on a trip along the seafront and finally, below right webmaster and Trolleybus Driver Ion Castro gets to pose with the Lord Warden and Hastings' Mayor, Cllr Kim Forward and Deputy Mayor Alan Roberts. 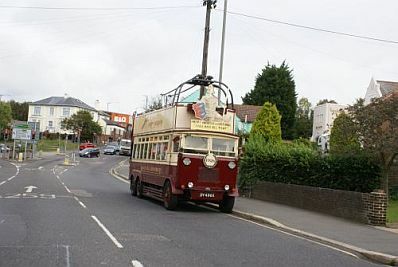 October 16th Sprat & Winkle Run, starting in Sevenoaks at 7.30 in the morning classic commercial vehicles were arriving in Hastings from mid-morning onwards. 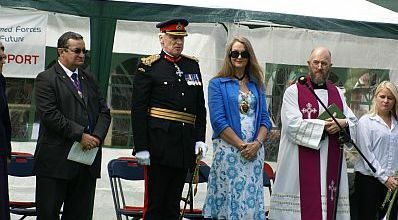 below left Miss Hastings gave the event her seal of approval. 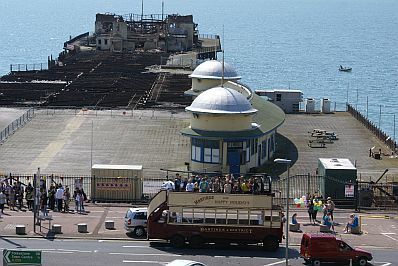 Below right, The Stade, a former lorry park seen from the top deck of Happy Harold with the Blood volunteers i the foreground. 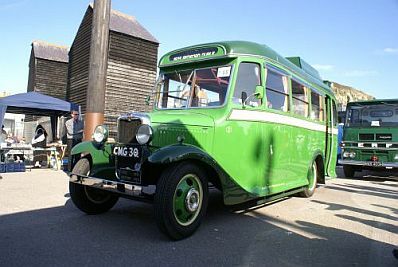 Bottom left Colin Rowland (Rambler Coaches) immaculate 1935 Bedford. 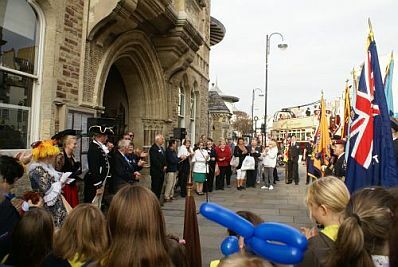 Bottom right, Happy Harold's last appearance of the week at the closing ceremony outside the Town Hall on Sunday afternoon. 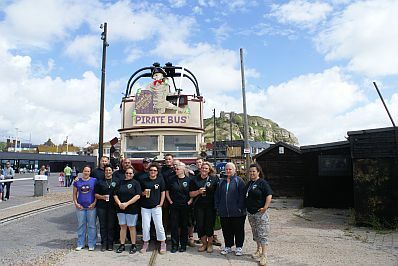 Happy Harold Joined in with the 20th annual Albany Taxi Fund Run when over 90 'Black Cabs' brought disabled children from Hackney for a day at the seaside. 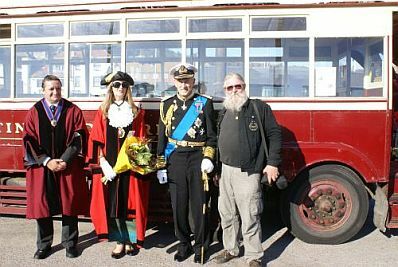 Happy Harold was at Sandown School on THe Ridge in Hastings where Trolleybus Group chairman Ion Castro is a school governor. 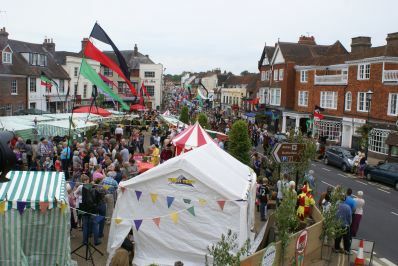 The event was the Summer Fayre and the PTA were fundraising for the school swimming pool. 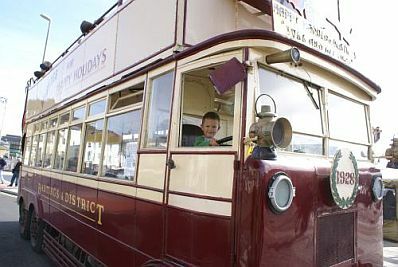 Trips were organised along The Ridge - a route that Happy Harold would have first operated over eighty years ago. 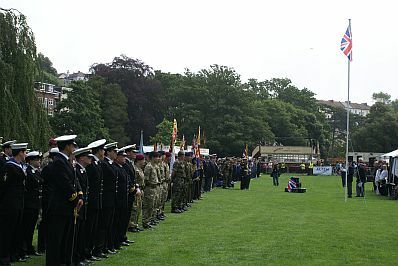 Other military personnel were Lt Simon Williamson RN Regional Recruitment Officer), Lt Hugh Harris RN (Commanding Officer HMS Ranger & Crew attached to the RN Unit at Sussex University), Major Mike Watts and his men from 4 Medical Regiment Roya Army Medical Corps and of course a detachment from 47 Regiment Royal Artillery. 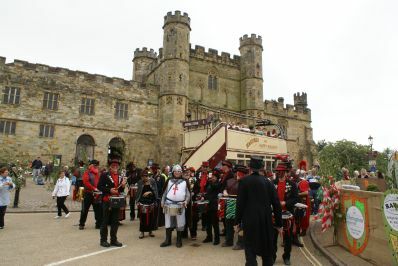 The band was the Glenduart Pipes & Drums from Tonbridge, Kent. 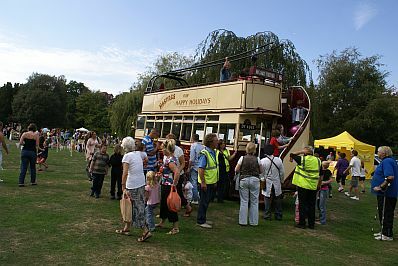 (Left) First call of the day was to the Brede Village Fete at Broad Oak. Happy Harold posed with the Sambalanca Drummers. 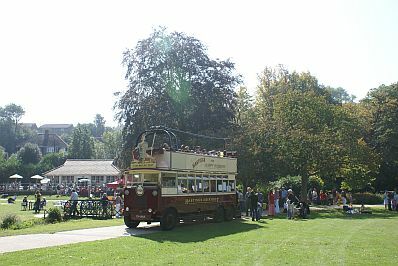 We'd forgotten just how steep Brede Hill is and apologise to the huge queue of traffic that built up behind us as we crawled up that hill in second gear with the Commer TS3 screaming. 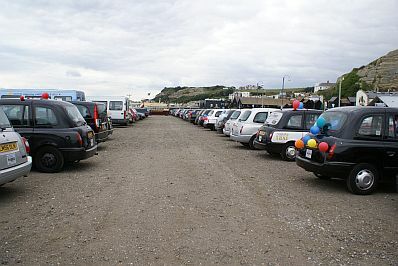 The return to Hastings was no less spectacular as we climbed Winchesea Hill in a similar fashion. 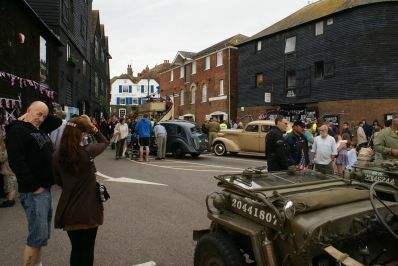 It was then on to Rye to take part in the Rye Chamber of Commerce promotion of Rye Town, we joined up with the vintage military vehicles and the day ended with Aerobatics from a Spitfire and a spectacular air display from the Red Arrows. 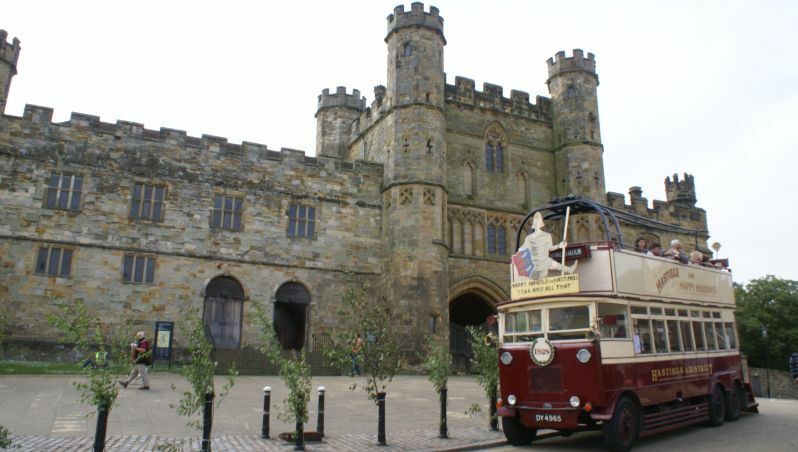 Happy Harold got to the battle Medieval Fair before the crowds and posed in front of the iconic main gates of the Abbey where his namesake fell nearly a thousand years ago. 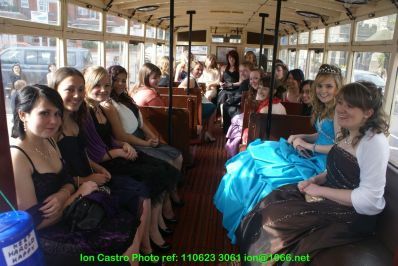 Passengers are aleady on board! 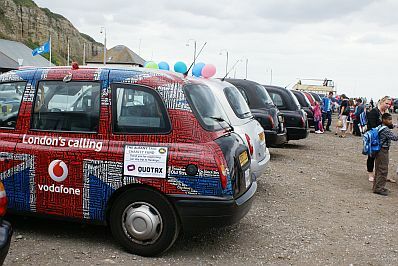 The event was organised by Battle Chamber of Commerce. 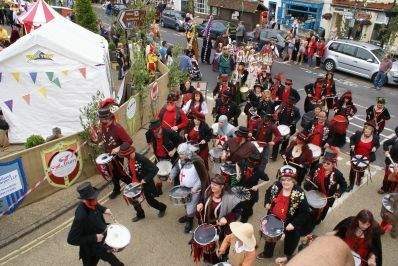 View from the top - Section 5 Drummers enter the arena. 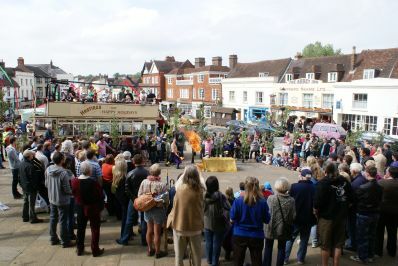 Happy Harold forms a backdrop (and viewing platform) for the entertainment - the orange blob in the centre of the picture is flame that the fire eater has just spat out. 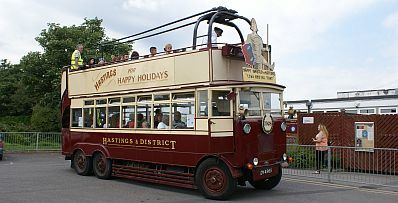 “Celebrating 100 years of Maidstone and District"
Many of us will remember when Hastings’ buses were a nice shade of dark green and cream and carried the Maidstone & District logo, the bus company whose roots go back to March 1911 when it was formed out of the Maidstone, Chatham, Gravesend & District Motor Omnibus Service. 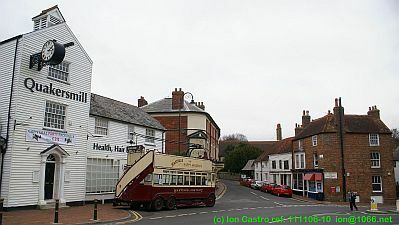 and eventually expanded throughout Kent and extended into East Sussex. 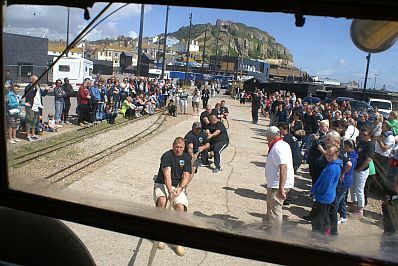 The centenary show was held at the Kent County Showground at Detling to celebrate the event and Happy Harold was invited because he was originally operated by Hastings Tramways company which was taken over by M&D as (Maidstone and District was popularly known.) in 1935. 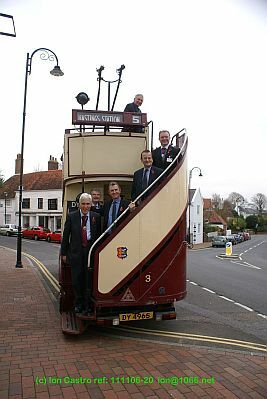 Detling may be only 38 miles away but at an average top speed of 18mph with a following wind we allowed 3 hours to get there, leaving at 7 in the morning and all went well until the final crawl up Detling Hill when overheating caused a bottom hose to blow, converting the cab to a sauna by filling it with steam. 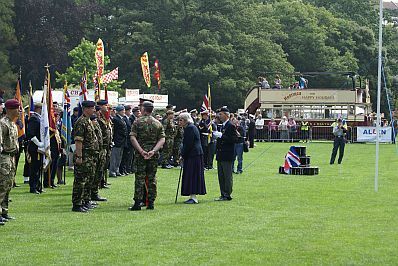 Fortunately we carry lots of spare water and were able to continue the last couple of miles to the showground where it was discovered that old age had caused one of the borttom hoses and its jubilee clip to fail. New hoses (actually vintage Ford Cortina ones) cut to size and clips, sourced from stalls at the show, were pressed into service and sorted out the problem. 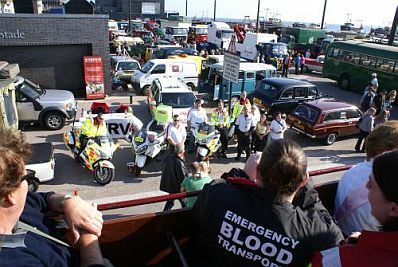 As the result of a no-right-turn outside the showground our return journey involved an extra ten mile round trip to get back to where we started from – we had to head north to go south! 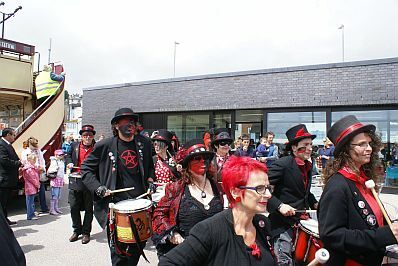 and this addes at least an extra forty minutes running time – that’s got to be good for our carbon footprint. 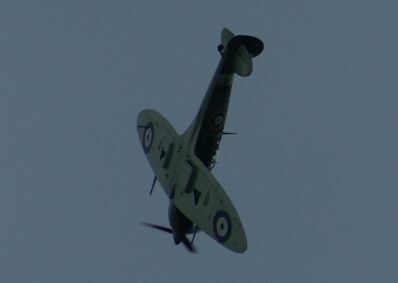 Apart from the detour our return was uneventful, Chairman's son Tim’s re-hosing worked perfectly and we arrived home with no water loss. 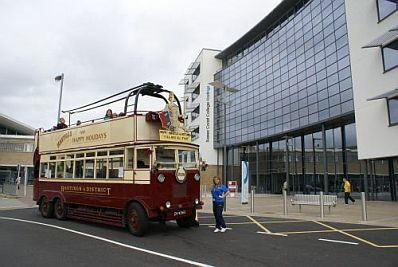 It was good to be re-united with HKL 819, the 1946 AEC Regal Beadle Open-top single deck AEC Regal, one of the three round-the-town-tour buses that operated in Hastings for decades, and are all in preservation. 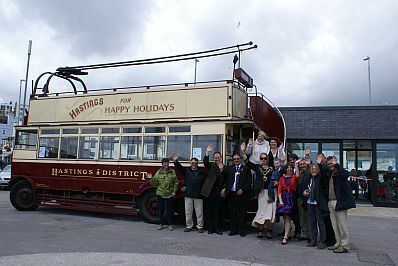 It was even better to see another of the trio, HKL 836, even if it is now in ‘London Bus Company’ livery. 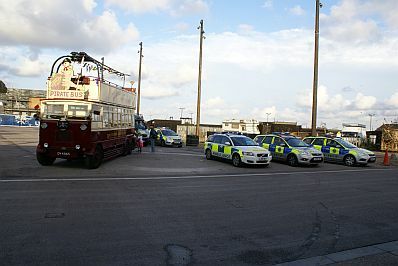 Perhaps one day they will appear with HKL 826 to complete the set! 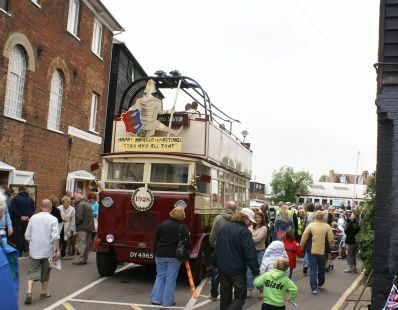 Roy Wells, formerly of Postley Works where Happy Harold was converted from electric to diesel. 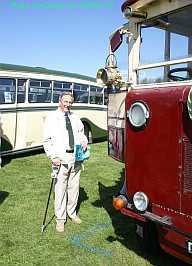 Roy is seen here with Happy Harold and helped to remove the electric motor back in 1959 and replace it with the Commer TS3 Diesel. 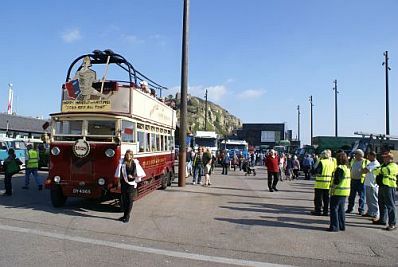 This is the lineup of LKT 991, a 1950 Bristol L6A ECW Single-deck bus showing destination “Fairlight Glen” on route 134. 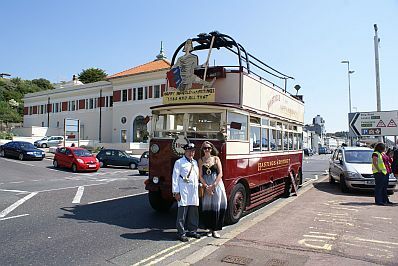 Next is DKT 16, a 1937 Leyland Tiger TS7 with bodywork rebuilt by Harrington in 1950 on express service E4 to Bexhill. 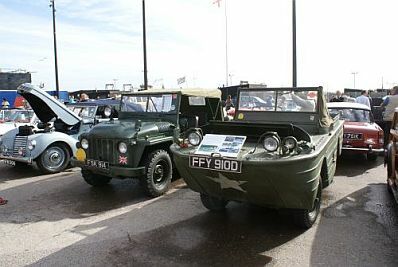 This has a strong Hastings connection, its special roofrack was designed for carrying band instruments and was later adapted to carry the boats for Hastings Rowing Club. 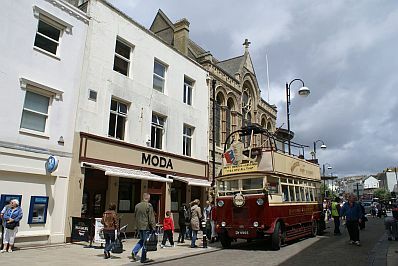 On its left is the third oldest exhibit, also from 1928, KO 7311 carrying the destination ‘Hastings Station’, - a Tilling Stevens B9A with bodywork by local Maidstone builder Short (who later built aircraft, particularly the Short Sunderland Flying Boat. 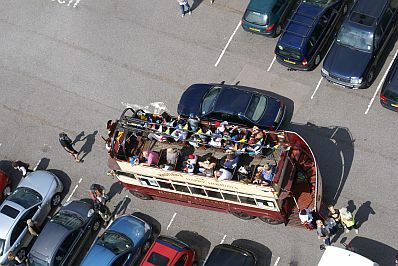 In the forground is M&D’s famous blue “Knightrider” 16-seater limousine, NKN 650 based on a 1951 Commer Avenger Harrington which I believe has a Commer TS3 engine similar to Happy Harold’s. 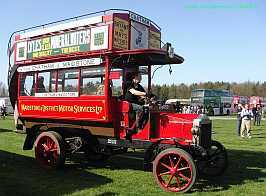 Happy Harold, registered 1st April 1928 was the second oldest vehicle at the show - the oldest being this 1912 Hallford. 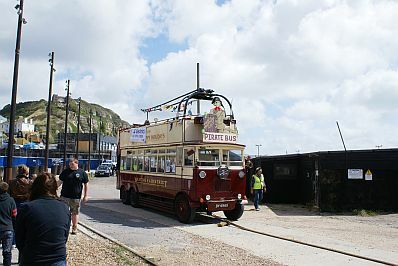 Happy Harold passes his class 5 MOT at Rossetts of Eastbourne. Once again we have nothing but praise for this firm, they fitted us in at a time to suit us and were very thorough in their examination. 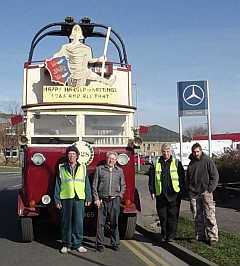 With the bus are some of the crew, from the left, Steve Peak, Derek Masters, Bob Hart and Tim Castro. 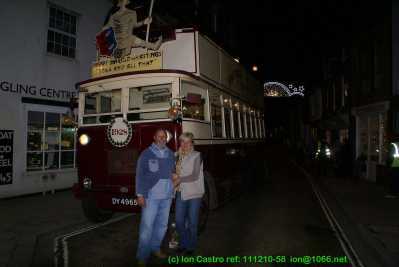 Ion Castro drove the bus to its MOT and took the picture.